This year Candelaria ran a little longer than usual due to poor weather. It rained for four days and four nights straight. No one thought it would ever end. It was the talk of the town, on the tip of every taxi driver’s tongue, since this unusual weather had never happened before in the living history of San Miguel.When the sun finally made an appearance there were orange and lemon trees; red, purple and white bougainvillea; and spiny cactus sitting next to tulips from Holland, rare orchids and large palm trees. The park filled up with people, pointing to their plants of preference, which were then loaded in a wheel barrel and pushed away by neighborhood boys eager for tips. 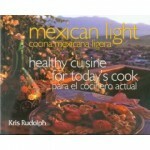 This entry was posted on Friday, February 19th, 2010 at 12:06 pm	and is filed under Mexico. You can follow any responses to this entry through the RSS 2.0 feed. You can leave a response, or trackback from your own site.